Today's Marc Steiner show looks at Multisystemic Therapy, an treatment program that seeks to keep kids out of juvenile prison by working with them, their families, and friends in the home environment. Today’s Marc Steiner show looks at Multisystemic Therapy, an treatment program that seeks to keep kids out of juvenile prison by working with them, their families, and friends in the home environment. Donald Devore, Maryland’s Secretary of Juvenile Services, joins Marc to discuss the effectiveness of the therapy for children and their families, as well as the cost savings for the state over time. Joining the conversation is Tyrone Langston, whose son had been in and out of the juvenile justice system until he began Multisystemic Therapy. Lavita Christian was the therapist who worked with the family, and she and Patricia Wren, the Program Director of Community Solutions, speak to the benefits and long-term results of the MST. 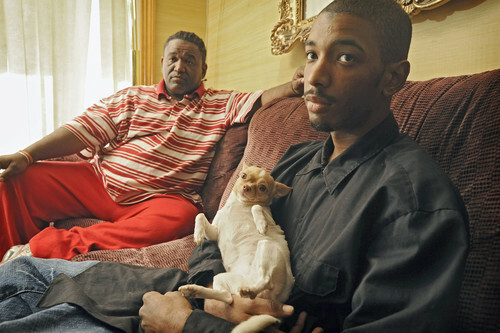 Read the Baltimore Sun’s profile of the Langston family.